Before deciding on whether to hire a bookkeeper, it’s important to fully understand what bookkeeping is and how you should use it for your small business. The books of a business are all of the transactions that occur, including every sale and expense the company makes. A bookkeeper is someone that inputs (usually into some type of bookkeeping software) all of this information. When done correctly, the business owner can use the information in the company’s books to make financial decisions. The information in the books is also used to help secure loans, file taxes, and show the financial health of the company, so it is important to make sure the books are up to date and accurate. One of the main issues to consider when hiring an outside bookkeeper is the amount of time you are currently spending on maintaining your books. For companies with a small number of transactions, this may not be a necessary expense. Example 1: I own a sole proprietorship with no employees in a service industry and I only have a about a dozen monthly expenses and invoices. I may only spend an hour a month doing bookkeeping. Example 2: I sell a product online through an e-commerce store. I buy and sell around 200 products a month. This would take a good deal of time to input because there would be at least 400 transactions (200 purchases and 200 sales). I may find myself taking 8 hours a month to input these transactions. There is no magic number of hours that should require an outside bookkeeper. The biggest indicator is whether keeping up with the books is taking time away from running the operational side of your business. If you find yourself getting bogged down with bookkeeping, and spending less time creating your revenue stream, hiring an outside bookkeeper is a great option. Another reason to hire outside help is that not all business owners have a background in accounting. Without that background, bookkeeping can become difficult if your industry has complex transactions or accounting requirements. A bookkeeper has that accounting background and can make sure the books are accurate and all the accounting requirements are met. When you hire a bookkeeper, the largest benefit is that you can devote the time you used to spend bookkeeping to running your business. Bookkeepers have a specialized knowledge that allows them to make sure that the books are not only accurate, but that you (the business owner) can rely on the information they provide and their assistance in making financial decisions. Bookkeepers can help automate processes to increase efficiency. While hiring a bookkeeper will be an additional expense, there are non-monetary benefits like peace of mind and stress release that can help make this change vastly beneficial. 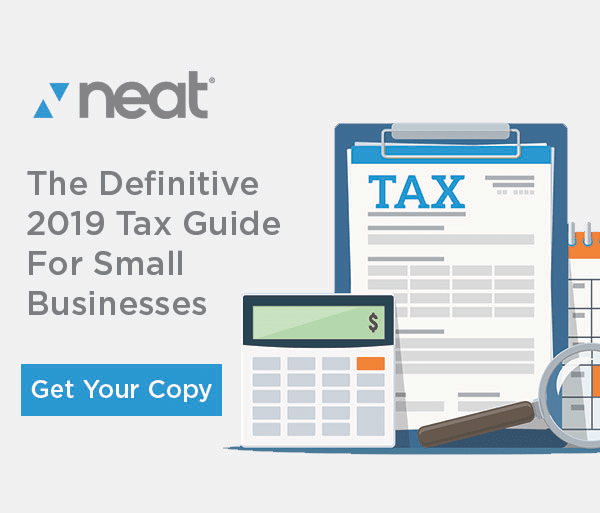 Every small business owner can benefit from having bookkeeping help, but keep in mind the amount you spend on bookkeeping services will go up or down depending on how organized your books are, and in which format they exist. If you’re a shoe-box-full-of-receipts kind of person, then you’re going to spend more of your hard earned revenue on bookkeeping services than if you had better processes in place for capturing receipts digitally. The Neat Company’s solution for automated bookkeeping doesn’t replace the need to perform bookkeeping tasks, but rather reduces or eliminates some of the most time-consuming and tedious tasks such as capturing business receipts and expenses. 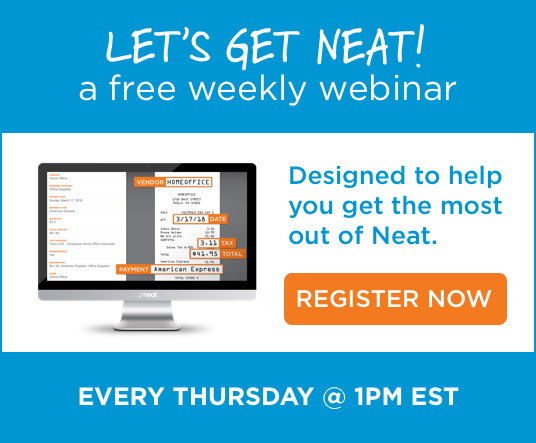 Once captured, Neat software stores and organizes all of the information that accountants and bookkeepers need to do their job. With data entry minimized, your bookkeeper/accountant can work with you in a more consultative fashion and help optimize your finances and business.